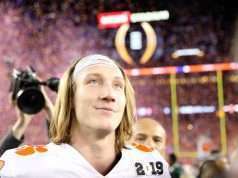 CLEMSON, S.C. — The Atlantic Coast Conference announced today that Tee Higgins (Receiver of the Week), Mitch Hyatt (Offensive Lineman of the Week) and Clelin Ferrell (Defensive Lineman of the Week) have all earned ACC Player of the Week honors for their contributions in Clemson’s 28-26 road win against Texas A&M on Saturday. With the three selections, Clemson has now collected a total of 444 ACC weekly honors since 1978. This week represents the first time that Clemson has had three players selected in a single week since 2014 when Stephone Anthony, Wayne Gallman and Ammon Lakip all collected Player of the Week nods following a victory against Syracuse. Higgins’ selection marks his first career ACC Receiver of the Week honor. He compiled 123 yards on three receptions, including a highlight-reel 64-yard touchdown reception in the second quarter. 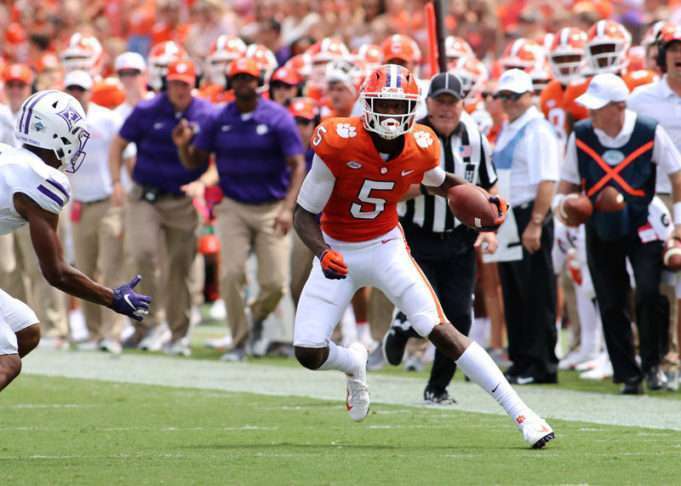 He becomes the first Clemson receiver to earn ACC weekly honors since Mike Williams in November 2016. The Offensive Lineman of the Week award is Hyatt’s first of the season and fifth of his career. He previously secured the award following wins against Georgia Tech, NC State and South Carolina in 2017 and a win against Florida State in 2015. His five career selections tie him with Thomas Austin and Stacy Long for the most among offensive linemen in program history. Including Tremayne Anchrum’s selection last week, Clemson has now earned back-to-back Offensive Lineman of the Week honors for the first time since Hyatt accomplished the feat in late October and early November last year. Ferrell’s selection is the third of his career, joining selections following the Syracuse and NC State games in 2017. He recorded 2.0 sacks and a forced fumble at Texas A&M, his third career game with at least 2.0 sacks. 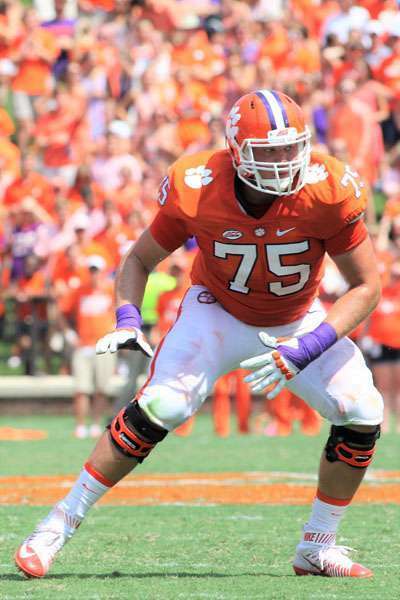 His selection marks Clemson’s 95th ACC Defensive Lineman of the Week award since 1978. Previous articleACC Announces Game Times 9/22- Clemson at Georgia Tech, 3:30 p.m.